According to a recent study by the American Academy of Orthopaedic Surgeons (AAOS), more than 60 percent of all accidental injuries in the U.S. are to the musculoskeletal system. 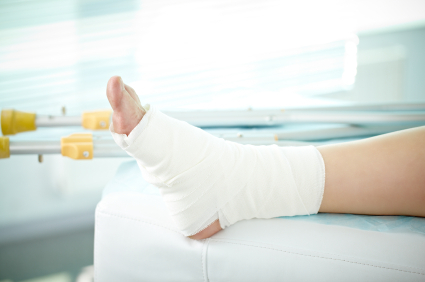 These injuries include sprains, strains, fractures, cuts, punctures, contusions and bruises. About 10 percent of musculoskeletal injuries occur while playing some sort of sport and slightly more than 10 percent occurs in the workplace. These are of particular concern to employers who don’t want lost productivity due to injured workers, while those employees don’t want to endure lost wages. That’s why there’s increased emphasis at many organizations on instituting programs concerning musculoskeletal injuries and wellness activities. Private companies are also offering programs related to musculoskeletal injuries and wellness, in an effort to reduce injury-related turnover, insurance and medical disability claims, and improve workforce productivity and availability. Consultants work with the employer to target certain manufacturing occupations where the risk of musculoskeletal injuries is high due to the job requirements. Employees receive customized instruction and information on injury prevention and rehabilitation principles. Rehabilitation might include use of a system that combines cryotherapy with intermittent pneumatic compression, as these devices have been tested and shown to be effective at helping people return to work more rapidly. Famous athletes including golfer Tiger Woods and tennis player Rafael Nadal have undergone PRP therapy for treatment of injuries such as sprained knees and chronic tendon injuries. These injuries are also treated with physical therapy and even surgery if needed. PRP uses a concentrated portion of blood with a higher than normal concentration of platelets. This solution is injected into the injury site; usually repeat injections are necessary. One physician uses PRP augmented with a system that delivers adjustable cold and compression therapy with body wraps that are designed for specific areas of the body, such as the knee, shoulder, elbow, or wrist. “We’ve seen patients that have a much smoother process, with less pain reported and an accelerated recovery process,” reports the physician. In one case, he treated an elite athlete with PRP and cold/compression system therapy and the athlete was able to get back on the NBA court in a few days. One company in the northeast U.S. recently instituted a pre-shift stretching program dealing with musculoskeletal injuries and wellness, in an effort to reduce employee injuries at work. They wanted to examine the effects of a pre-shift stretching program on work-related musculoskeletal injuries. Results in terms of injury rate reduction and participant compliance were promising, though more studies are needed to confirm these preliminary findings. Studies continue on the best way to manage musculoskeletal injuries and to integrate wellness programs into the workplace. Does your employer offer workplace wellness programs?